There are gorgeous places in the United States that are sunny all year round. They’re filled with happy people in shorts and flip-flops eating ice cream and enjoying a consistently easy drive. There’s something to be said about the relaxed nature of these seaside towns filled with folks who’ve never so much seen snow, let alone dealt with a winter storm. If you’re like most of us, however, you don’t have that luxury. You know full well those horrors that storms can bring to cold, northern territories. Sometimes we don’t even get a warning! You wake up and BAM! There are three feet of snow and more falling steadily. Northerners don’t call out of work for such a silly event, however. We put on our best boots, grab a shovel, and bravely make way for our driveway departure. We brush off the roof, the hood, the windows, and all else. And then, we get in our cars and brace ourselves for the drive of a lifetime. Unless, of course, your car door won’t open. Which is, seriously, the worst feeling in the world. Is this going to be your first winter? Then this article is not one you want to miss. You need to be prepared! Unfortunately, many people travel up north for a winter extravaganza, or perhaps more permanently, without realizing what that means. Winter is dangerous at worst, and an awful inconvenience at best. It’s especially tough for people not native to the north since they haven’t had the years of practice and preparation. 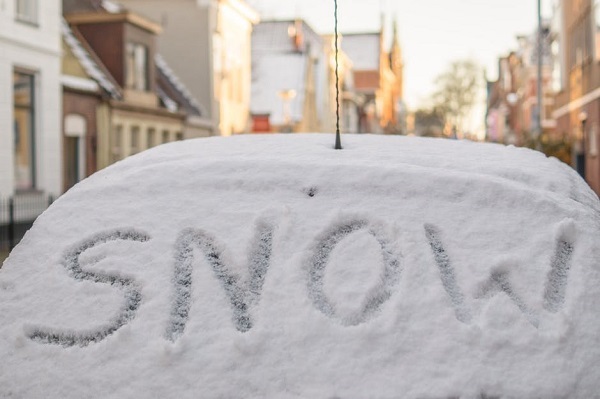 We have plenty of other articles on dealing with snowy conditions, so don’t miss those, either! Arm yourself with as much information as you can – before you need it. This also goes out to those of us who don’t have the luxury of a garage. It’s lovely to be able to park your car in a covered area that stays relatively warm, or can be warmed up on a whim. It’s just life that most of us simply don’t have access to a garage of any type! That’s why you need to have some tricks to try when we’re heading towards these long, cold months. A frozen shut door is bound to happen to pretty much anybody and everybody! If it hasn’t to you then definitely keep reading. Chances are, after all, that it absolutely will. Murphy’s Law has really pulled a fast one on a lot of people! Luckily we have plenty of tips today aimed at making this nightmare pass quickly so you can move on to the, well, nightmare that is driving on icy roads. 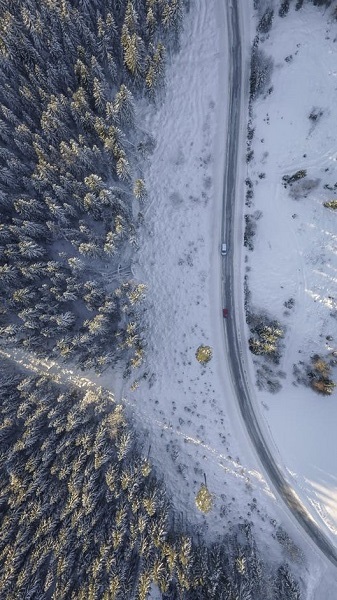 We can’t help you with navigating in the wintery north, but what we can do is help you get on the road that much quicker. Getting your door unstuck isn’t the end of the world! It may feel like it, especially as you desperately try to keep warm in the outside air, but we’re here to show you how easy it can be. After all, we’re grizzled folk who live where the air hurts our faces. A little ice has never scared us, and we’re known for our grit, as well as an attitude to rival even “below zero” temperatures. So, get ready to bunker down and bulk up on tips that can save your tail in a tight spot! What Causes A Frozen Door? Getting ready to unstick a door means knowing how it got there in the first place. Essentially, in most scenarios, it’s because of a moisture leak. This is when water manages to get in along with dirt and other debris. So, when it gets to be cold enough to freeze, it does just that! Boom! The dreaded stuck door scenario comes alive. This is especially an issue in wet conditions since it becomes so easy for that leak to turn into a constantly dripping faucet. But, how does it get there? Where’s the leak? How can this horrible fate be stopped?! Keep reading for all of that and more! Here are our favorite tips and tricks to getting that door unstuck, and getting on your way. The Gaskets Are Goners: How long has it been since you’ve checked the integrity of your door? It sounds weird! Heck, it was weird to type. The truth is, however, that it’s always a good idea to give your car a once-over every now and again. This includes those silly, small areas like the door. If your gaskets are worn out then you’re going to have a leak. Simple as that. So, check that area first and see what you find. If there are any damaged gaskets then get those replaced. Time To Come Clean: The next culprit is generally a dirty frame. We ask again: How long has it been since you’ve come into close contact with your door? Again, we know, weird question. But, again, this is critically important to get to the bottom of the problem at hand. Namely: your frozen solid door. That being said, dirty frames can absolutely hinder your door sticking shut. We recommend cleaning your door frame at least once a month! This is a fairly easy process and can be done in just a few minutes. It’s a bummer in balmy -0°F weather, but you have to do what you have to do! To properly clean a car door all you need is warm, soapy water, and three microfiber cloths. Rub down the entire frame, and then rinse it off with the second washcloth and clean water. Use the third cloth to dry, making sure to get ANY excess moisture. Then you’re done, and ready for anything, come rain or snow! Take Cover: Ever notice how heavily marketed car covers are? That’s because they’re fantastic! Most people have purchased protective gear for their vehicle. These products are made to keep your car looking fresh, clean, and showroom ready. Seat covers, floor mats, and more fall under this category. The most important one for keeping your doors ready to go, though, is a high-quality car cover. This will keep excess moisture from being able to seep through your gaskets, even when they’re wearing out. They’re a great stand-in for a garage, especially since they make cleaning snow off a breeze! If you haven’t invested in one now is the time. We have excellent buying guides on car covers, and more, for more information! Lock Out Liquids: Another weird place that can be problematic in the cold is your locks. If water manages to enter the lock it will end up freezing. Then (you guessed it!) 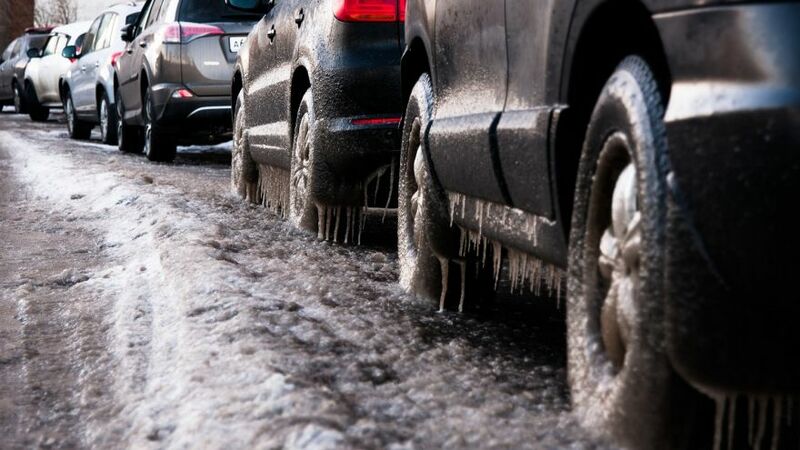 this icy mess keeps your car inaccessible! It’s a fairly simple fix, however, and you’ll be taking the same steps as you did for protecting the gaskets. We recommend using a good lock lubricant in order to keep this from happening. Also, try to avoid any products that could attract dust or other debris. Greaseless lubricants are your best bet for the best result! Coat your key in rubbing alcohol, as well, for even more of a result. Get Your Bandit On: So, dare we ask, did you check the other doors? The trunk, even? If they’re all frozen shut then this won’t really help you. However, you may find one door (or the trunk!) are loose and you can get in through that entrance instead. Once inside, of course, turn on your car, turn on that defroster and heat, and let the car do the hard work. Always Use Protection: There are quite a few lubricants on the market that can provide some added protection. We recommend avoiding anything like WD-40, however, since that can dry out a gasket and cause it to crack. Instead, find a nice rubber conditioner for best results. Simply clean your gaskets first, and then follow over with the liquid of your choice. This will help keep things working smoothly and help keep out any unwanted moisture. Get On Thin Ice: Normally this is something you hear from your mother in a threatening tone. This time, however, it’s just good advice! If you haven’t invested in de-icer for this winter season then you should get on that. 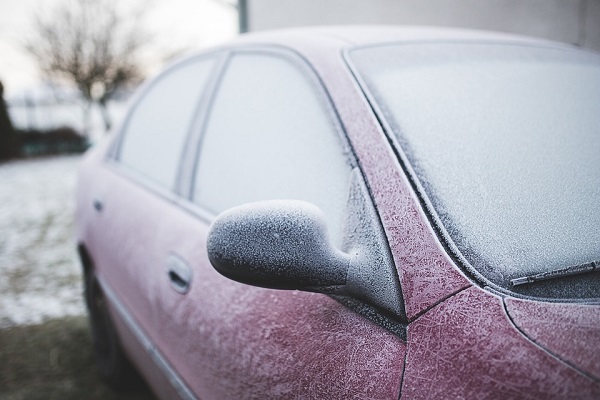 A good de-icer can be the difference between an open door, and a frozen closed one. 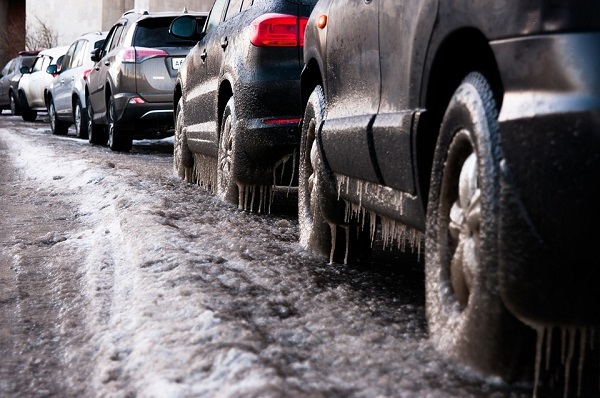 De-icer is invaluable for getting your vehicle’s access point safely unstuck. Some of the techniques people try (we’ll talk about this more below) can actually be really damaging to your vehicle! Don’t blindly follow the advice you see online that hasn’t been properly researched, and backed up by that research. That’s why we always provide our sources and ensure that our information is all verified. 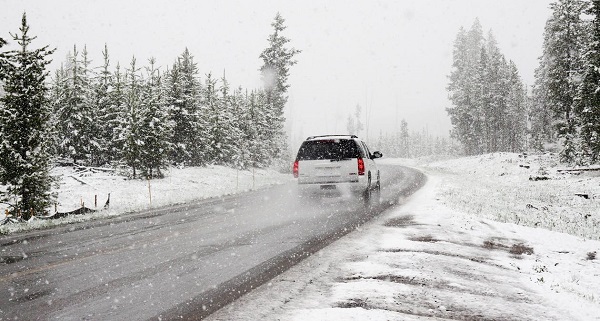 Be Prepared: Don’t go into the winter without an action plan, and the products to carry that plan out. The products we’ve mentioned throughout are all good to have near your front door for easy access. Notice that we didn’t say “in your vehicle”. While this is normally a great idea if you can’t get to those products they aren’t very helpful at all! This may seem like common sense, but a lot of people completely space on this detail. Now that you know our tips and tricks, we’re going to explain how, exactly, to get this job done. Remember that there is a process to this, and you don’t want to rush it. If you try and force your hand you may end up doing damage to your vehicle. This is obviously something we want to prevent! Automotive repairs are expensive, especially when they have to do with damaged doors. Take your time, take a breath (if you need to), and take on this task as you’re ready to. Make sure to take breaks if it doesn’t come unstuck right away, too. You don’t want to stand out in the cold for longer than you need to. Go inside, get warm, and grab a coffee. Then, get yourself back outside and get back to work! First, make sure you’re dressed properly. Get on a pair of nice, warm gloves and button up your jacket all the way. When you’re ready and have all of your supplies, head outside. If you don’t have a plug available to you outside (you probably don’t) then you’ll need an extension cord. If you have a doggy door then run it through that. If not? Well, at least your door will be unstuck soon! Once you’re outside with your tools of choice you can apply the de-icer. This will do just what the name suggests and get rid of the icy build-up. You should be good to go pretty soon after! Even as soon as seconds! This one is a little bit less effective, and it also is a little bit more of a pain. It still works, however, and it will safely get you into your car! Simply turn on the hairdryer and use a low heat setting to melt the ice around the door. We recommend using short, sweeping motions so that you aren’t getting any one area too hot. It’s much safer than using hot water, which is actually a terrible idea. We’ll talk about why below! We’re going to go over a couple pieces of bad advice you should NOT take. We hope that this helps you understand what could cause a larger problem than the one it’s solving. No, no, no, NO. Do not! We repeat: Do NOT do that! Of course, if you have seriously NO other options and this is legitimately the ONLY thing you can do… Okay, we guess. But it really is not a good idea. This is because of the chance that your glass will shatter on your window since the temperature change from freezing to almost boiling is so great. That is NOT a scenario you want to think about, let alone experience. Hot water can also damage your door because of that temperature difference. Also, the entire reason for your stuck door is probably excess moisture. Not only are you melting the frozen water that’s already where it shouldn’t… You’re also adding more! Okay, this one is weird. Yes, we’re getting weird again. But, the thing is, it actually works. This is totally true, and totally doable! If you stick a towel between the car frame and the car door with some of it sticking out you’ll have better leverage. This means you might be able to pop it open without destroying the lock. Also, no. This can cause your lock or handle to break. If that happens then you are really, really not going to get into your car. Instead, you’ll be calling your boss/friend/relative/etc. To let them know you aren’t making it, and then calling for a tow. And trust us- that tow will take forever, however, because, well, it’s snowing. It’s just a bad time all around. Don’t yank. De-ice and gently wiggle. So, now you have what you need to survive the snow. Or, more to the point, the ice that comes along with it. 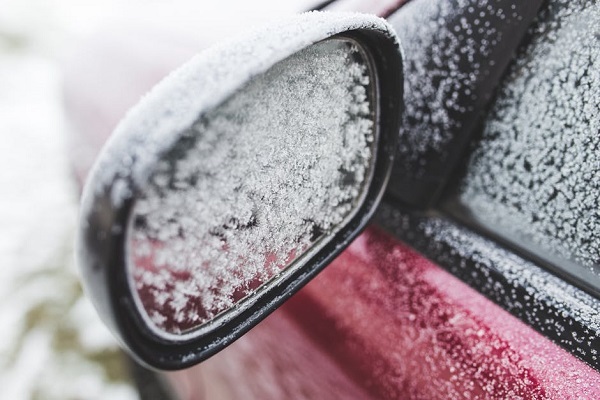 No matter where you’re going, or where you’ve parked, you’ll be ready and able to deal with a door freezing shut. We hope that you’ve enjoyed this informational article and that it’s given you some new ideas! Be sure to check out the rest of our blog for more tips, tricks, and everything else automotive!